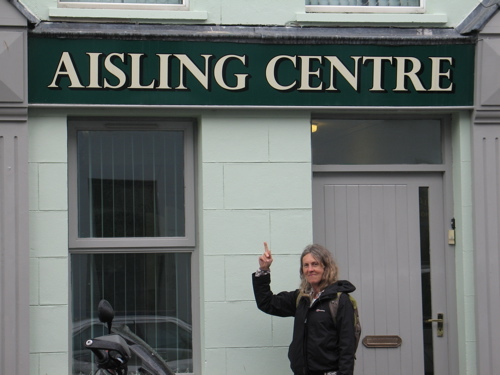 Aisling, Irish for “dream or vision” is a central focus for our project. For these 40 days and 40 nights, we are keeping our eyes peeled for Aislings in all forms, as we sleep by night and exercise our imaginations, explore places, and interact with people and things by day. We’ve learned that as well as a vision or dream, Aisling is a girl’s name and pops up on signs, on the sides of boats and in songs! Check out the Christy Moore video below to join us in our “Quest for Aisling”.